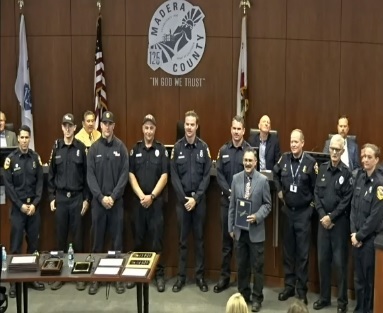 MADERA – For 38 years, Augie Capuchino has been the face many people see when firefighters are called out, when they are in need of rescue, are suffering a medical emergency, or are involved in an accident. Augie was just 18 years old when he signed on as a firefighter with the U.S. Forest Service in 1971. In 1977 at the age of 24, he was hired by the Chawanakee School District as a bus driver and custodian. So many North Fork students have fond memories of field trips where Augie safely shepherded them on their adventures and delivered them to school each day. Augie is proud to say that in his 31 years as a bus driver, he never had a single accident, always kept the equipment in top condition, and said “no” to the automatic transmissions – always opting for the good old 10-speed. Augie eventually took on the job of grounds maintenance at the North Fork School, and was often called upon to be first responder when children on campus needed medical attention or got hurt on the playground, keeping an oxygen bottle in the nurse’s office and once even performing CPR on a student. 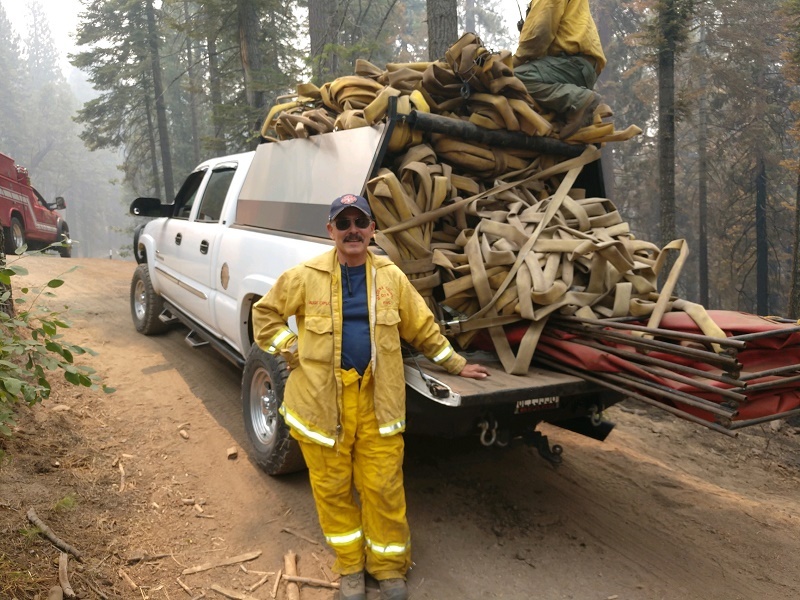 When he started his job at the school, Augie didn’t let his skills as a firefighter go to waste, signing on as a Paid Call Firefighter (PCF) for the Madera County Fire Department at Station 11 in North Fork. In 1988, he took a leave of absence to focus on his family and give all his attention to raising his two daughters with wife Cindy, who worked full-time as an elementary school teacher. By 1997, Augie was “just dying to get back to the fire department,” and at the age of 44 – not a spring chicken for a firefighter – he returned to Station 11 where he served until his retirement this year, in addition to stepping in to assist at Station 17 in O’Neals. He was often the only PCF at Station 11 who was licensed to drive a water tender, and many times drove down to O’Neals to put that water tender in service when Frank Bigelow, Sr., was not available. 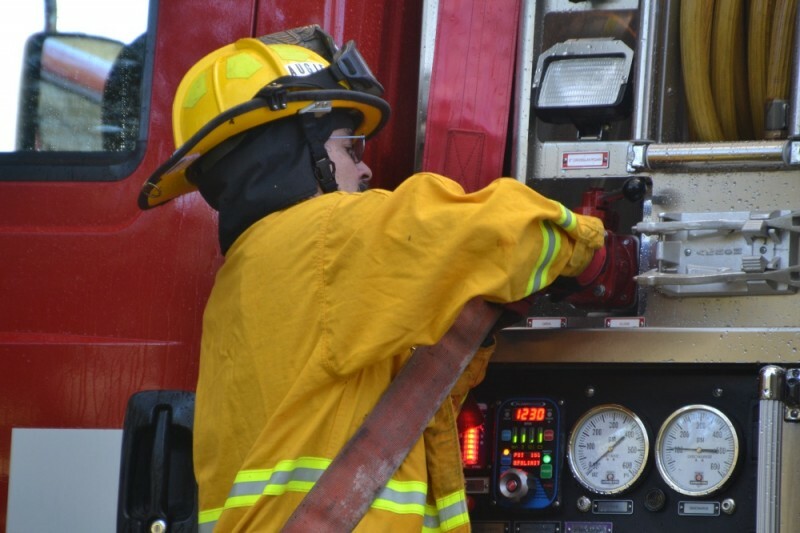 Augie held the rank of Fire Apparatus Engineer for six years and that of Lieutenant for nearly twenty, responding to upwards of 30 fires across the state each year. He also served two stints as Captain of Station 11 – most recently from 2016 until his retirement this year. Being a PCF is not the same as it was back in the early days of his career. “In those days, requirements were not so stringent,” says Augie. “There were 20 to 25 volunteers on the department, and they were mostly business owners and people who wanted to be a part of something in the community, helping out. Augie recalls when the fire station was located under the North Fork Library, with water seeping through the back wall. He says they had to wait until a certain time of day to start the equipment, due to noise complaints and the exhaust going up into the library above. 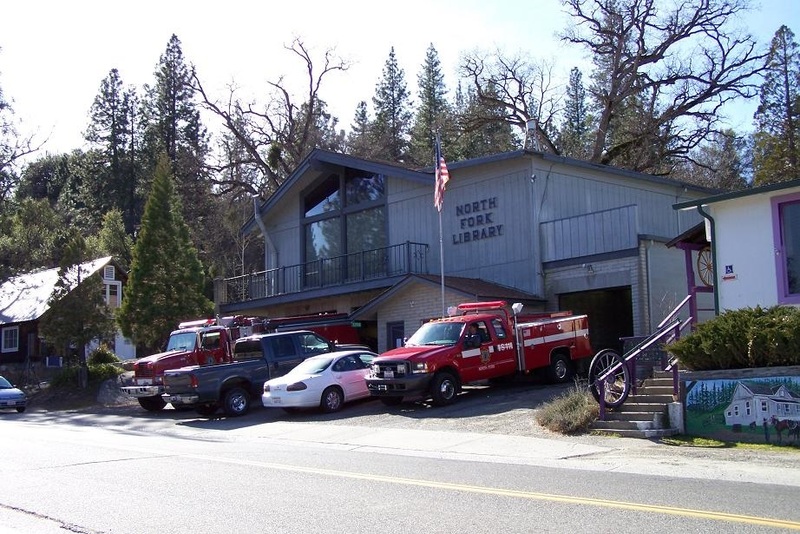 In April 2013, the company moved into their new station at the Old Mill Site, a project funded by the North Fork Rancheria of Mono Indians, Madera County, the Community Development Council and the North Fork Volunteer Fire Department Auxiliary – a 501(c)3 that was formed in 2004, largely due to the efforts of then-Captain at Station 11, Augie Capuchino. It was not Augie’s plan to retire. 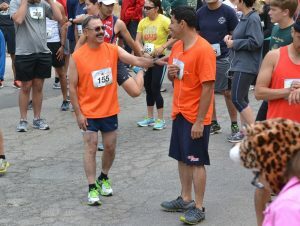 Even at age 65, he had many good years and plenty of energy left to give in service to his community, but an injury forced him to make a tough choice. 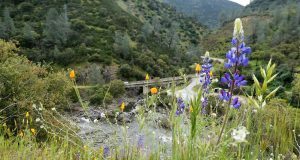 He was on a fire in Ahwahnee in the fall of 2015 and was cleaning a water tender on a 4-foot ladder that Augie says “should have been a 6-foot ladder.” He lost his balance and fell onto the concrete floor, landing on his shoulder. Over the next two years, the pain became unbearable and the tendon finally separated from the shoulder and he had to have surgery in October of 2017. That put him on the sidelines for about a year, but even after all that time of healing and 42 visits for physical therapy, it was not in the cards for him to return to the demands of being a PCF, and he was forced to make the hard decision to retire. But Augie has not retired from service to the community. 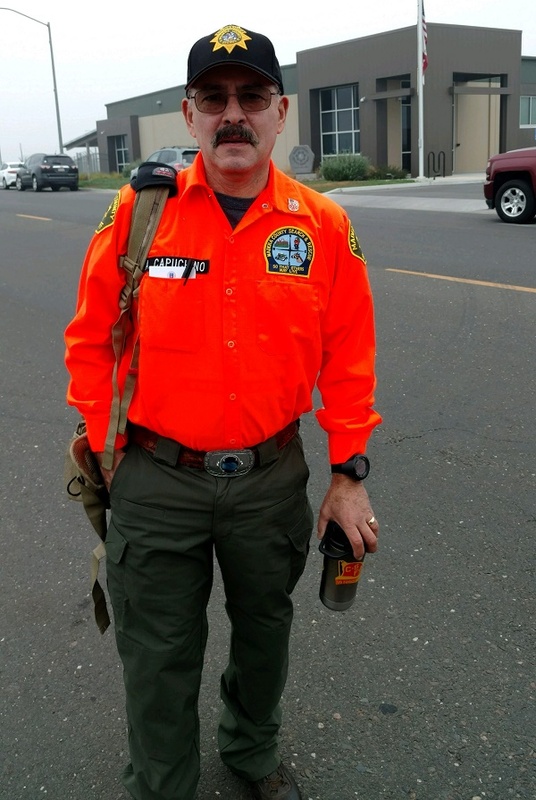 He is still an active member of Madera County Search & Rescue and recently traveled to Paradise to assist in recovering the remains of those who perished in the Camp Fire. He is also a member of the North Fork Lions Club. 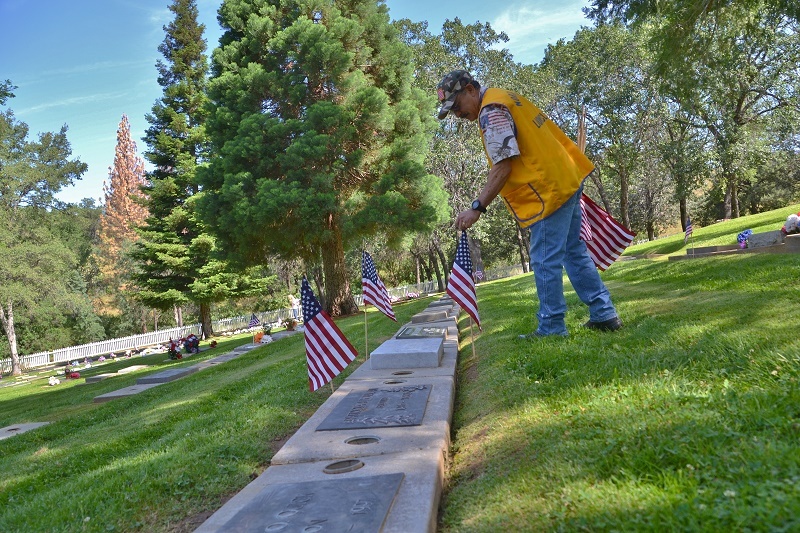 In 2016, with the passing of local WWII veteran George Priest, Augie was asked to take over George’s mission of placing flags on the graves of veterans at the North Fork Cemetery on Memorial Day and Veteran’s Day. The Lions Club readily accepted the solemn responsibility when Augie presented them with the idea. This Veteran’s Day, club members and their spouses placed 179 flags to honor those who served. In 2004, Augie worked with the 8th grade class to raise money and build the Military Defenders of Freedom Wall at the Gas ‘n Stuff in North Fork, edging the wood and routing the letters with the names of local servicemen and women. In addition to his many jobs, Augie has always been up for an adventure. He has hiked the John Muir Trail, climbed Mt. Whitney – twice, hiked the Grand Canyon from the South Rim to the river and then up to the North Rim and back again, has run half-marathons, been a 10k runner, and has placed in the top 10 of the Valley Runner of the Year Series. 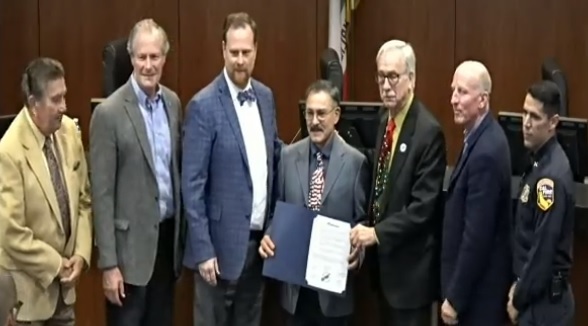 At today’s Board of Supervisors meeting, there were many on hand from Cal Fire and Madera County Fire to thank Augie for his years of service and sacrifice of family time inherent with this job. 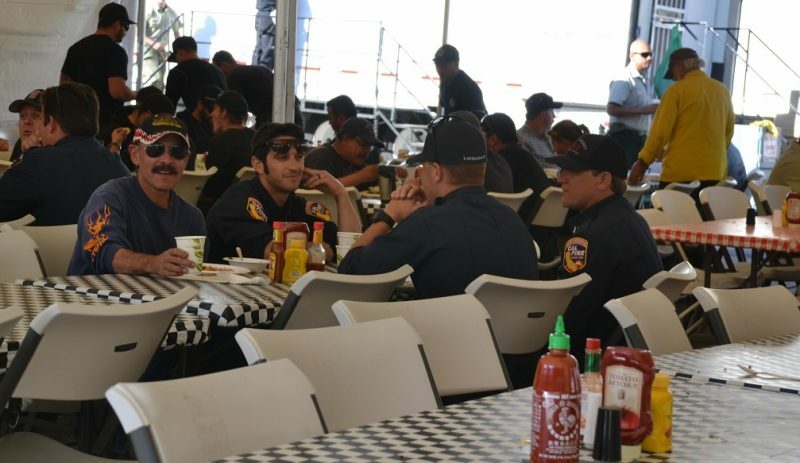 “It’s hard enough to recruit volunteers and retain them, much less retain them for 32 years,” said Cal Fire Battalion Chief Anthony Garcia as he congratulated Augie on his retirement. 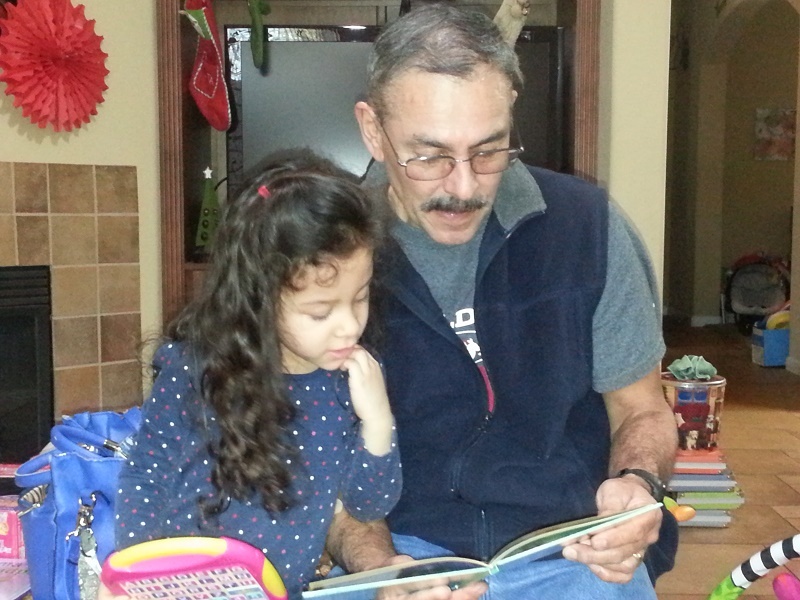 Augie and Cindy have been married for nearly 44 years and have two married daughters – Brandi and Angelica. 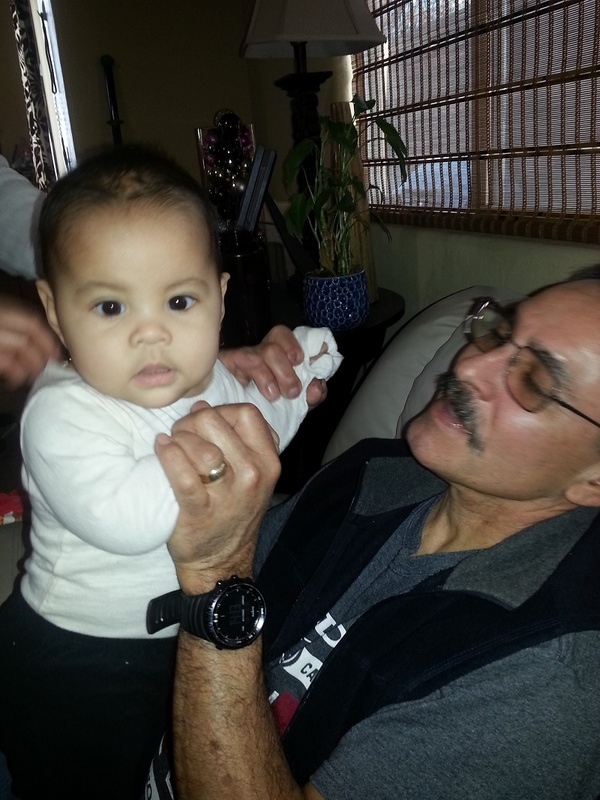 They have just welcomed a new granddaughter, Camila, who joins grandchildren Risa, Maya and Andrew. After working at Wishiah, Sierra Vista Pharmacy and Head Start, Cindy attended California State University Fresno, earning a degree in Early Childhood and a Masters in Curriculum and Instruction. She recently retired after 22 years with Fresno Unified School District. Augie is a home-grown citizen, raised in the Bass Lake Annex in a house his father built, and currently he and Cindy live in another house build by his dad. He attended North Fork Elementary and Sierra High School, and two years of college in Fresno. 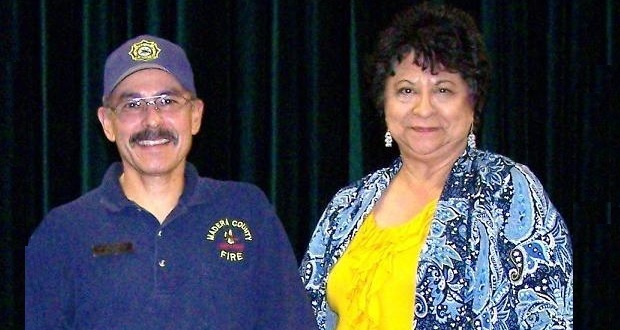 Augie and Cindy were chosen as North Fork Citizens of the Year in 2007, and Cindy was a major part of the North Fork Volunteer Fire Department Auxiliary’s efforts in raising funds for the new Station 11. Though his days as a PCF are behind him now, Augie has no intention of resting on his laurels. Augie and Cindy are looking forward to traveling and spoiling their grandchildren. “That’s our job!” notes Augie.